Jan Silvious has been meeting people where they are for over thirty years helping them to find a new way of dealing with the same old situations. 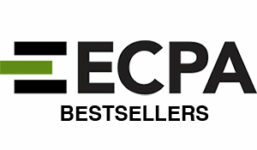 She is a successful author, speaker, life coach as well as a wife, mother and grandmother. As a featured speaker at Women of Faith events, Jan has encouraged audiences across the country and across every denomination, challenging them to grow into the women God has called them to be. She has been a plenary speaker for Precept Ministries’ National Women’s Convention, Moody’s Women’s Conferences, Moody’s Founder’s Week, Women of Joy and hundreds of churches across the country and overseas. On the radio, Jan has enjoyed interacting with the hosts on “Midday Connection,” “Chris Fabry Live” as well as other national call-in and interview shows. For five years she and Kay Arthur co-hosted the nationally broadcast call-in program, “Precept Live.” Jan has also appeared on several television programs including James Robison’s “Life Today,” “100 Huntley Street,” and Kay Arthur’s “Precepts for Life.” She occasionally guest blogs for Precept Ministries. 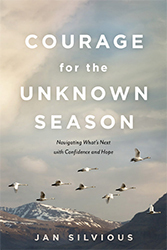 Jan’s latest book, Courage for the Unknown Season, released in 2017 (NavPress). She is the author of Fool-Proofing Your Life (Waterbrook, 2009); Big Girls Don’t Whine (Thomas Nelson, 2003); Same Life, New Story (Thomas Nelson, 2011); Smart Girls Think Twice (Thomas Nelson, 2008); Look At It This Way (Waterbrook, 2008); The Guilt-Free Journal (AMG Publishers, 2002); Moving Beyond The Myths Women Believe (Moody Publishers, 2001); Please Remind Me How Far I’ve Come (Zondervan, 1990); The Five-Minute Devotional (Zondervan, 1991); Please Don’t Say You Need Me: Biblical Answers for Co-Dependency (Zondervan, 1989); Understanding Women: A Book for Men (Zondervan, 1988). In 2017, Jan, Patsy Clairmont, and Anita Renfroe toured with Women of Faith across the U.S. She is a regularly coaching guest on SheJammygans – a bi-weekly national talk show webcast with Anita Renfroe that features various guests. Her website, jansilvious.com, features her speaking and coaching. 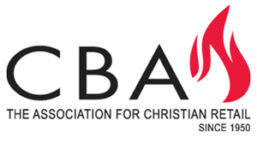 She is represented for speaking by The Stacy Robinson Agency and Speakers4You. Jan is married to her husband Charlie and they make their home in Ooltewah, a suburb of Chattanooga, Tennessee. They have three grown sons, two daughters-in-love and five grandchildren.